We describe the ongoing citations to biomedical articles affected by scientific misconduct, and characterize the papers that cite these affected articles. The citations to 102 articles named in official findings of scientific misconduct during the period of 1993 and 2001 were identified through the Institute for Scientific Information Web of Science database. 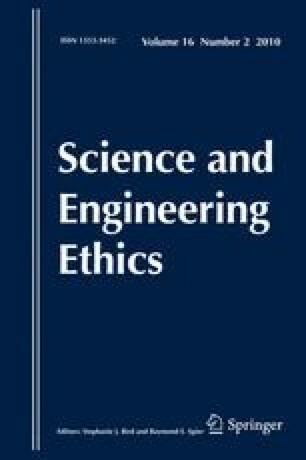 Using a stratified random sampling strategy, we performed a content analysis of 603 of the 5,393 citing papers to identify indications of awareness that the cited articles affected by scientific misconduct had validity issues, and to examine how the citing papers referred to the affected articles. Fewer than 5% of citing papers indicated any awareness that the cited article was retracted or named in a finding of misconduct. We also tested the hypothesis that affected articles would have fewer citations than a comparison sample; this was not supported. Most articles affected by misconduct were published in basic science journals, and we found little cause for concern that such articles may have affected clinical equipoise or clinical care. This research was supported by the Research on Research Integrity Program, on ORI/NIH collaboration, grant # R01 NS44487. We are grateful for the contributions of the study coordinator Justin Northrup, MPT, and Daniel Sapeika, MS, MD who performed the content analysis. National Comprehensive Cancer Network, Inc. (2009). NCCN Clinical Practice Guidelines in Oncology™ (v.1.2009, 09/10/08) [website]. http://www.nccn.org. Accessed 1 Jan 2009. National Library of Medicine. (2008). Fact sheet. Errata, retractions, partial retractions, corrected and republished articles, duplicate publications, comments (including author replies), updates, patient summaries, and republished (reprinted) articles policy for MEDLINE (updated 10/08/2008) [website]. http://www.nlm.nih.gov/pubs/factsheets/errata.html. Accessed 12 Jan 2009. Thomson Reuters. (2009). Institute for Scientific Information Web of Science [website]. Available at http://isiknowledge.com/WOS. Accessed 14 Jan 2009.